Sean concentrates his practice in the areas of trusts and estates, business succession and taxation. A frequent speaker on tax law and business succession issues, Sean is also a contributor to treatises and publications in the areas of tax, business and estate planning. 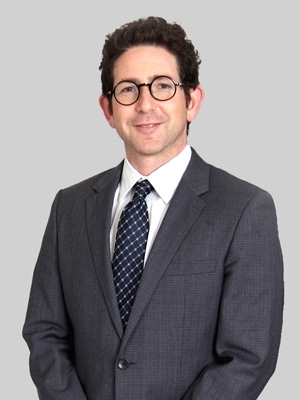 Prior to joining Fox, Sean was a shareholder at Myers Kenney, P.C. (formerly Myers Urbatsch, P.C.). Sean also previously served as an associate and summer associate at various firms in California. Additionally, he was an extern to the Honorable Martin J. Jenkins of the U.S. District Court for the Northern District of California. At Golden Gate University School of Law, Sean was awarded the Faculty Award in Taxation, presented to one student in each graduating class. He also received the Witkin Award in Constitutional Law II and served on the Moot Court Board. Sean previously taught estate and tax planning for financial planners in the Master of Science Program for Financial Planning at Golden Gate University Ageno School of Business. Sean is a member of both the Taxation and Trusts and Estates sections of the California State Bar. Sean is a coauthor of a chapter regarding limited partnerships and limited liability companies in the treatise, Business Succession Planning: Strategies for California Estate Planners and Business Attorneys, in addition to coauthoring a chapter in the treatise, California Decedent Estate Practice, on post-mortem planning and administration with estates holding business interests, both published by Continuing Education of the Bar – California.